The Spanish Balearic islands of Mallorca, Menorca, Ibiza and Formentera provide a wonderful all year round sailing destination and one of the most accessible cruising areas in the Mediterranean with regular flights from most UK departure airports. This popular destination offers favourable sailing conditions and a choice of both sheltered and more challenging cruising areas. The spectacular scenery of pine-topped cliffs, white sandy beaches and picture postcard harbours each with numerous shops and restaurants provide an excellent sailing holiday experience. The Balearics enjoy warm dry summers and predictable weather out of season with predominantly north-westerly breezes of force 3-4 along the east coast of Mallorca and south – easterly winds of force 2 -3 on the west coast. Mallorca has a rich historic past which shows across the whole island from the capital city Palma with its 13th Cetnury cathedral to the ramins of a Roman theatre in Alcudia. The island also has its fair share of "fiestas" celebrating everything from the new pressing of olive oil, to art, culture, history and gastronomy. Whichever week you choose for your Mallorca flotilla holiday, you are virtually guaranteed a party! The sailing breezes in Mallorca are largely thermal, with onshore breezes in the morning as the land heats, with the opposite in the afternoon. Average sunshine of more than 9 hours a day make for a suberb setting for your flotilla holiday. From the yacht base in Palma de Mallorca, one week charters can explore Mallorca's east coast towards Cala Ratjda, visiting the national park on the beautiful island of Cabrera, or alternatively sail west stopping at the picturesque Port of Soller and Puerto Pollensa. Two week cruises can sail northeast along the southern coast of Menorca or out to the smaller islands of Ibiza and Formentera. 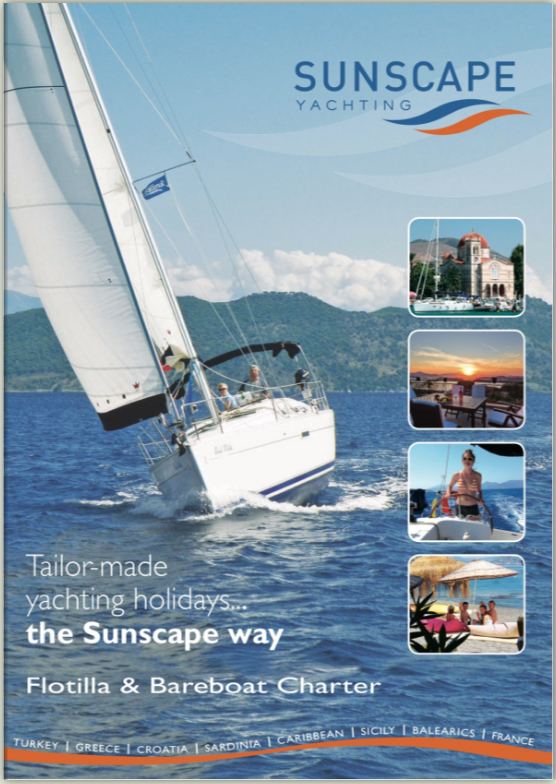 If a week sailing isn't enough or perhaps the family or friends would benefit from ome extra time ashore, then consider a Sail and Stay package from Sunscape.